Follow the instructions below to enable the "Ask a Medical Question" feature for your patients. 1. 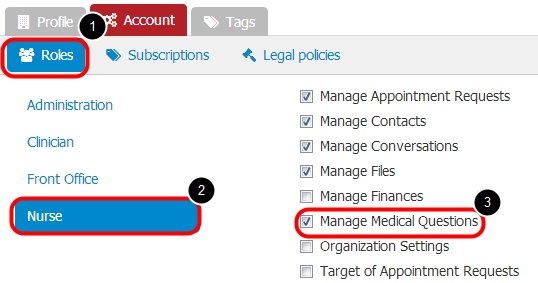 To access your clinic organization settings, click the drop down arrow next to the name displayed in the top right corner. 2. Select the organization so that the display shows you are acting as the organization. 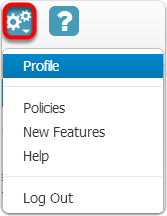 Click the Settings button to the right of the name and select Profile or click the settings option from the left hand column. Click on the Account tab and select Subscriptions. Click on Account then click the Subscriptions tab. By default, the Medical Questions feature will be disabled. 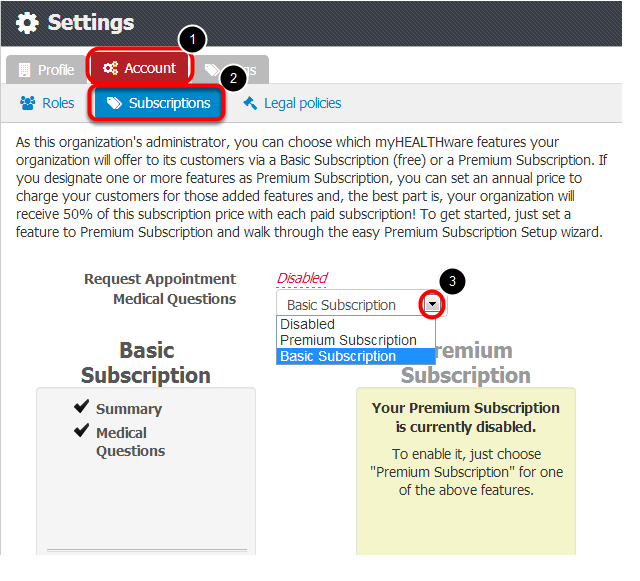 Using the drop down arrow, choose the desired subscription option for the feature. The Basic Subscription option will allow the clinic to offer this feature to their patients for no cost. The Premium Subscription option will allow the clinic to offer the feature to their patients for a annual subscription fee that is determined by the clinic. If you choose to set this feature as a Premium Subscription feature, follow the instructions to create your clinic's Billing Agreement and PayPal account, as well as the annual charge for the premium feature. For instructions, please see: Manage Subscriptions. After activating the new "Ask a Medical Question" feature, you will need to manage the myHEALTHware security roles to give access to the staff members that you wish to receive and respond to patient inquiries. Select a role (ie: Nurse). Place a check mark next to the Manage Medical Questions permission, to allow the selected role to receive and respond to patient medical questions.